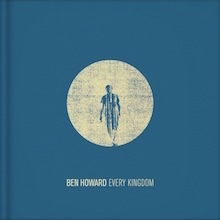 The Devonian folk artist, guitarist of note and impeccable singer songwriter Ben Howard is a worthy successor in style to forebears such as Nick Drake and John Martyn. The pride of the West Country was nominated for the 2012 Mercury Prize for his debut album Every Kingdom, partially a collation of his material on the Old Pine EP and subsequently acclaimed singles on Island Records. Ben’s star rose high when he won the Brit Award for British Males Solo Artist and for British Breakthrough Act in 2013. He was rapturously received on the Pyramid Stage at that year’s Glastonbury festival. Indeed the open-air setting is Howard’s natural milieu but he is no slouch in a studio. Second album, I Forgot Where We Were, picks up nicely thanks to a blend of folk, ambient and sonically challenging atmospherics that seep into the listener’s consciousness and don’t go away. That disc reached the very top of the charts. Ben’s distinctive vocal style is mesmerizing in the higher range, matching lyrics that are startling, often dark and sometimes wildly enigmatic. That will explain his appeal to the European market and it seems that America is next in line to experience his windswept music with an autumn tour following a trip to South Africa, British festivals and an appearance at the famous Rock en Seine event in Paris. Given his latter-day roots in Falmouth and Torquay it’s worth noting that Ben has collaborated with the O’Neill Company and is active in the Surfers Against Sewage campaign. He set his standards high though since some of his favourite songs are Leonard Cohen’s “Avalanche”, Joni’s “Both Sides Now” and Bob Dylan’s “Masters of War”, three numbers that drip with meaning, from bitter sweet experience to outright hatred and anger. His own development came in fits and starts until he quit University College Falmouth and took to playing open mic nights in Devon and Cornwall. Pretty much self-financed his reputation spread and Island Records signed him though he had already released his debut EP Games in the Dark. Ben’s next EP is Old Pine on Communion and now his learning curve sweeps him to Every Kingdom, produced by Chris Bond and James Naleski. It’s a stunning set with choice revisits to the previous material. The fan pleasing “Keep Your Head Up” is richly affirmative while “The Fear” is the polar opposite: disturbing and austere, it wouldn’t seem out of place on a Midlake album. “Only Love” explores more passionate pastures and the digital download comes with a Roni Size remix. If you haven’t heard Every Kingdom then discovery is yours for the taking. Try the Deluxe edition, which includes live versions of “Empty Corridors” and “Move like You Want”, both prime examples of the campfire soul movement. Sensing the need for change, Howard’s The Burgh Island EP (a reference to the tiny island off Devon’s beautiful south coast) is more electric than his earlier music. The title track is magnificent with Norwegian guitarist/singer songwriter Monica Heldal adding her complex tunings to the whole. I Forgot Where We Were – love that title – flows like a mood montage adding edges of experimentation that indicate Ben is ready to enter the outer reaches of indie folk where one used to find Martyn and the great Michael Chapman. The key “End of the Affair” is beginning to sound like a classic, as is the title track and the swooning “She Treats Me Well.” Having already used cellos, the ukulele, accordion, keys and double bass before Ben widens the sound with electric guitars, the Bond brothers Chris and Andrew provide keyboards and Mickey Smith is on the twelve-string guitar. The Official Charts Company placed I Forgot… at #1 and the disc has now sold well in Europe. If music mirrors the environment, then the widescreen and airy nature of the songs here reflect their germination at the lovely Start Point Farm Studios. Howard and band let rip on “Small Things” and “All Is Now Harmed” and these are confident, sonically addictive moments of bliss out. It’s good to hear a young artist aspiring to transcendence, but then it’s good to hear Ben Howard, full stop. Risking arriving a little too late to the party, Devon-born 23-year-old Ben Howard is yet another young troubadour whose sound appears indebted to the '70s pastoral folk of John Martyn and Nick Drake. His debut album, Every Kingdom, therefore, has its work cut out for it from the offset if it's to make itself heard above similar recent efforts by the likes of Marcus Foster and Benjamin Francis Leftwich. But it's clear from the opening track, "Old Pine," a slow-burning epic that begins with some hushed choral harmonies before building into a strident slice of nu-folk, that this is a more intriguing affair. Indeed, considering that much of the album features nothing more than Howard's intricate fingerpicking guitar skills with the occasional flourishes of cello and percussion, it's remarkable that it's only toward the closing minimal acoustic balladry of "Gracious" and "Promise" that the evocative autumnal vibes begin to lose their appeal. That's partly down to Howard's versatile and intense vocals, which manage to capture the understatement of José González, the gruffness of Ray LaMontagne, and the soulfulness of James Morrison, without ever sounding like a tribute act, and partly down to the inventiveness displayed throughout its ten tracks, whether it's the military beats, sea shanty melodies, and howling wolf calls on "The Wolves," the burst of grandiose post-rock that interrupts the somber breakup song "Black Flies," or the buoyant campfire singalong of "The Fear." It's not clear whether Howard's stripped-back approach will cross over to the mainstream, as other than "Keep Your Head Up," a slightly more energetic rebel-rousing slice of folk-pop that found its way onto the Radio 1 playlist, its charms are more slow-burning than immediate. But it's an impressively timeless debut that suggests Howard should have no problem standing out from the overpopulated nu-folk crowd. Deluxe edition: Accompanying Ben's stunning debut album is a 2nd disc of exclusive previously un-released studio and live recordings. Disc three is a DVD containing three of Ben's music videos, the Woodland Sessions and amazing behind the scenes footage from Ben’s tour of the highlands, The Barn and the making of the album artwork. The deluxe edition also features exclusive cover art and stunning previously unseen photographs. 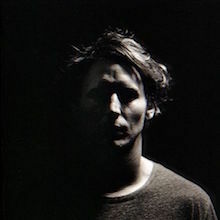 Compared to his contemporary British folk-rock brethren, Ben Howard isn't hidebound to conventional notions of what constitutes folk. He clutched his acoustic throughout his 2011 debut Every Kingdom but where Jake Bugg and Ed Sheeran can't go a moment without strumming, Howard indulges in deep aural pools throughout 2014's I Forget Where We Were. It's not simply that there are abundant electric guitars on the album but that the production by Chris Bond (who doubles as the singer/songwriter's drummer) is painterly, filled with shimmering, evocative echo and light flourishes that accentuate either the nimbleness or meditation of his melodies. I Forget Where We Were is quite clearly a record made in the wake of Radiohead (not to mention Jeff Buckley) -- there's a distinct emphasis on languid, moody introspection -- but Howard is indeed a singer/songwriter first and foremost, so the seemingly amorphous whorl of the production gathers focus upon his songs. Certainly, this means the record sacrifices immediacy for sly assurance, but it's nice to hear a singer/songwriter so confident in his work that he doesn't rely on wide-eyed shtick: Howard expects you to meet him on his own terms and provides just enough aural enticement to give him not just one listen but a second, which is when I Forget Where We Were really begins to sink in its hooks.